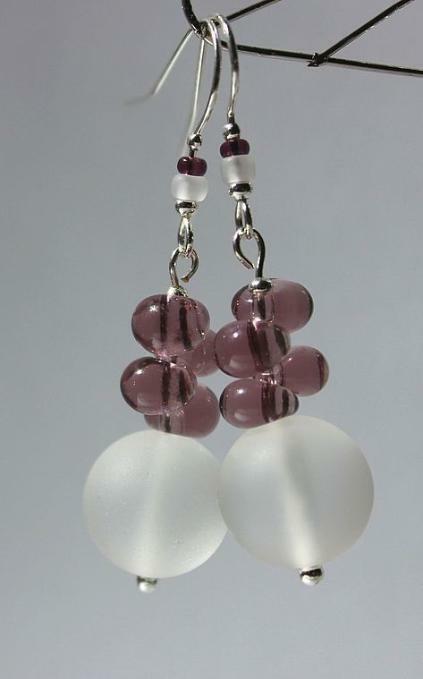 Summary: Are you interested in learning how to make dangle earring with beads? DIY this triangle dangle earrings is a great way to get start. This is a very unique project and it won’t cost you a lot of time, just using bugle beads, black stone and eyepins, you can create this pair of black triangle earring. Slide a bugle bead on eachof the eyepin and make several simple links. Thread four black stones onto the eyepin and another simple link. Put a bugle link vertical landing; attach two more links on both of the sides. Connect the two horns together by using the stone link, and then you can see a triangular. Cut off a piece of chain with 12cm, find the loop which is just in the middle and hang the chain on the earring hook. Attach the triangle to the chain. Have you mastered our tutorial on how to make dangle earrings with beads? Once you get going, you will find it is very quick to finish the triangle dangle earring, just try it!